I have very early memories from my childhood singing a song about vegetables and how you’d never grow up to be big and strong if you didn’t eat them. I also don’t remember ever being refused dessert for not finishing my veggies – I must have been lucky. To this day I do like (most) vegetables but then again, I also like cake. So why not combine both? We have all heard about the almighty and oh-so-good carrot cake with cream cheese frosting. But let’s face it – carrots are so sweet they barely classify as a vegetable in my books. Which is why I like to use other, less popular veg. I am yet to make a beetroot chocolate cake but I now have 2 great courgette recipes in my ‘Let-me-amaze-you’ arsenal. I have admittedly omitted to mention the presence of courgette a time or two before the cake has been tasted but again, luckily no one has spat cake in my face yet either. So all in all – my attempt to incorporate one of your 5 a day in dessert is working well so far. So here a recipe I discovered and already tested on my office guinea pigs (who luckily for me never say no to cake). 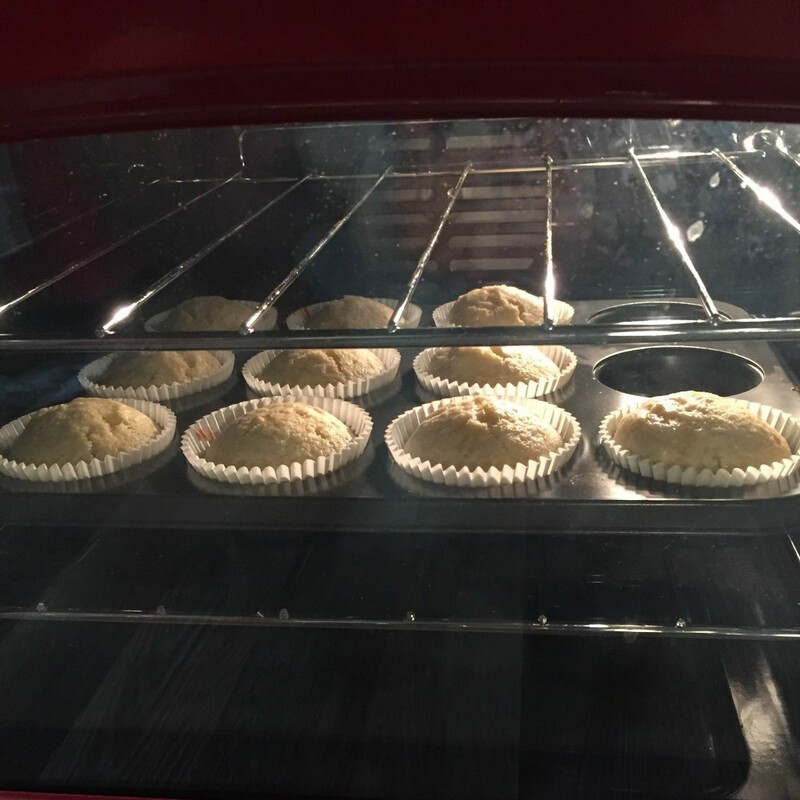 Line a muffin tin with either 12 fairy cake cases or 10 muffin ones. I prefer using muffin cases in this case as the frosting is a little runnier than buttercream so it sits nicely in the cases without spilling over. Sift the dry ingredients in a medium sized bowl. Mix the wet ingredients in a small bowl (oil, eggs and lemon extract). Add the courgettes and the wet ingredients to the dry ones and whisk well till all incorporated. Bake at 160 degrees Celsius (fan) or 180 degrees for non-fan ovens for around 23 mins or until a toothpick comes out clean. Let to cool on a rack completely. In the meantime prepare the frosting. 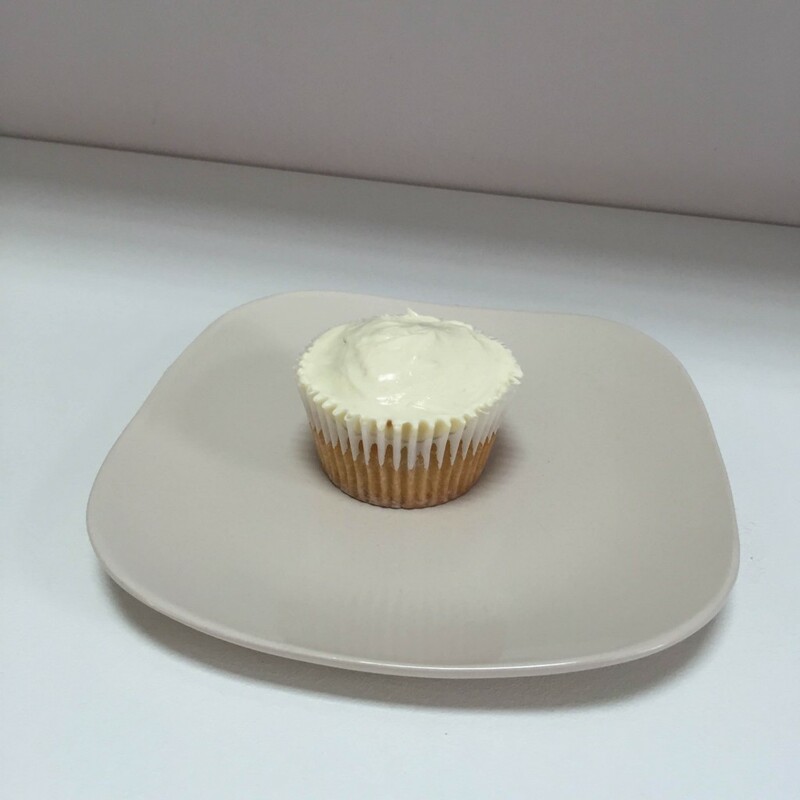 Mix the cream cheese frosting, vanilla, sugar and lemon zest using a wooden spoon – don’t overmix so it doesn’t go too runny but make sure it’s nice and smooth. I recommend to then pop it back in the fridge for a while (at least until the cupcakes are completely cool) so it can firm up. Once the cupcakes are completely cool, spoon frosting on top and smooth out a little. I did like those looking a little bit rough around the edges to add to them even more home-made flair. If you have time or patience, you can even shave longer pieces of lemon zest to decorate. I was lazy 😉 Then serve with a cup of tea and coffee and enjoy!